This flat style of accumulators can be bi-directional, reflow, mass flow, or recirculation with two or more belts moving in opposite directions. 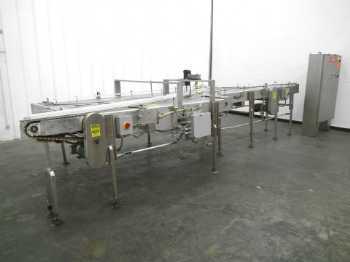 Accumulation conveyors are used to temporarily stop, hold, and release products or other materials. Accumulation tables are an efficient method to balance production line rates, allowing production to continue while downstream product is halted. They also facilitate product removal for packing and prevent product damage that can occur when a production line is stopped.